API Bio-Chem Zorb (formerly branded Rena Bio-Chem Zorb) is the most scientifically-advanced filter media available. 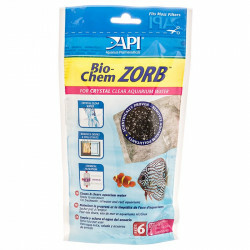 Use Bio-Chem Zorb for sparkling clean water and healthy fish! 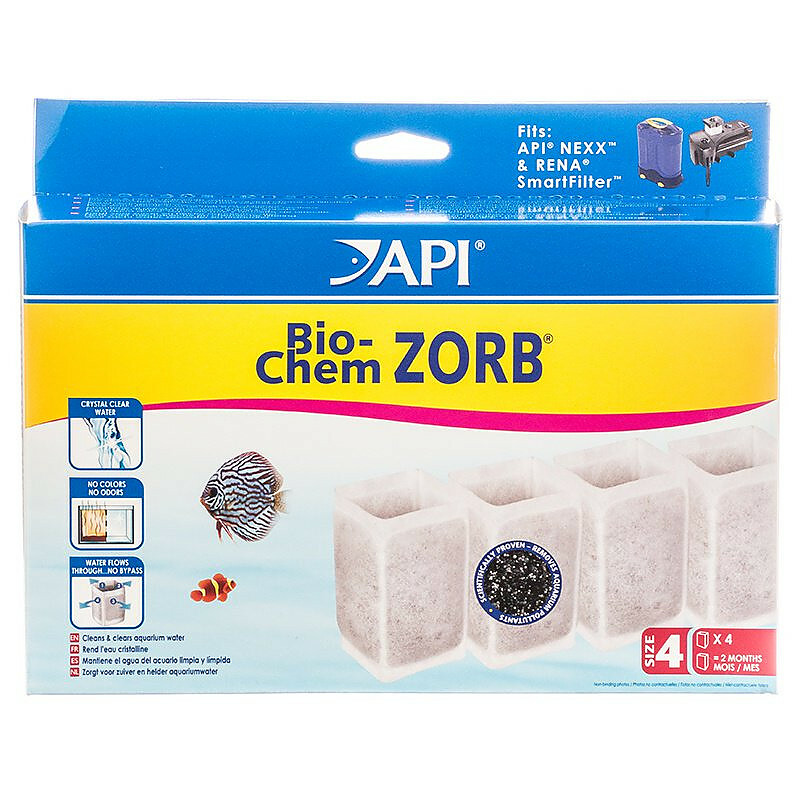 Bio-Chem Zorb is a blend of 2 research-grade scavenger resins, 2 pharmaceutical-grade ion-exchange resins and high porosity activated carbon in a convenient filter pouch. 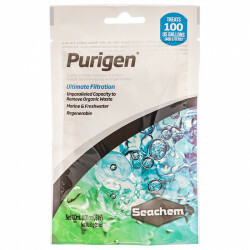 Directions: Easy-to-use pouch works three to six months, change regularly for clean & clear water. Have used this product for years. 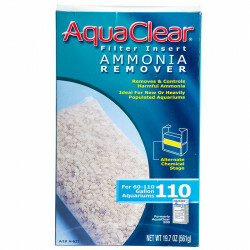 Makes my aquarium water very clear. Really works! 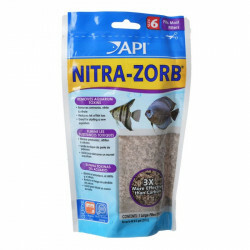 The best filter media (carbon) with the best filter equals clean tanks. If you do not own a Filstar Rena Canister the media fits other canister filters. I have tried everything, but now I will never buy anything but bio-chem sorb because it is the best! This is the first aquarium I've had where the water barely even has that "aquarium" smell. Nice and clear water. One pouch lasts about 1 month in my 55 gal freshwater.